Awards season is fully underway with the Academy Awards around the corner and the Grammy's, SAG and Golden Globes airing this year. To celebrate this fashionable award season, I am excited to highlight an exclusive fashion partnership between Westfield and Variety on their "Actors on Actors". 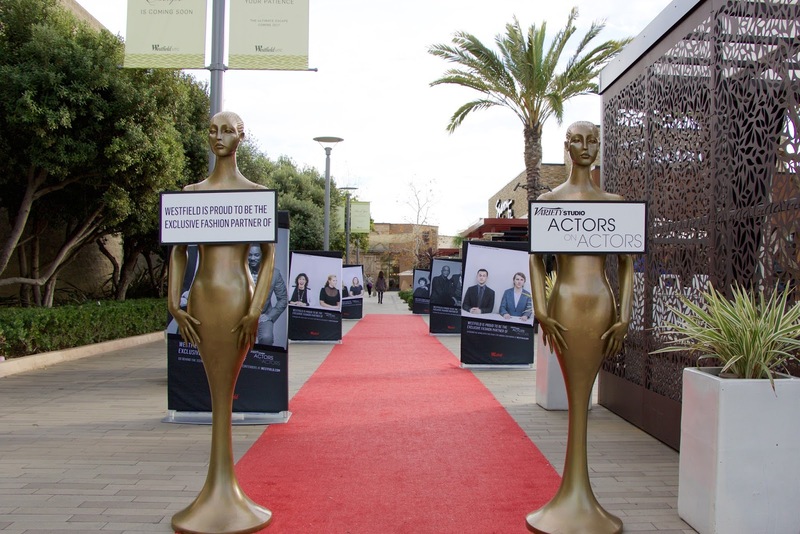 To mark the partnership, an installation was planted at Westfied UTC (here in San Diego) where shoppers could literally walk the red carpet. In addition, they have curated celebrity looks for less, see some of their ideas and behind the scenes here! At Westfield UTC you can find how you can "get the look" at their in-house Anthropologie. To celebrate the art of being award-season-ready without spending the thousands that celebrities shell out, here are some of my picks from Anthropologie (majority under $200)! Whose Oscar look are you most excited to see on Sunday? I like to see Cate Blanchett because she never plays it safe and Jennifer Lawrence! Sophisticated pieces! Love the black one with the lace details. I can't wait to watch the Oscars and see all of the fashion! I'm really looking forward to seeing LEO winning an Oscar (hopefully) for his performance in The Revenant! Amazing! What a great event! Plus, I can totally see myself wearing the entire 2nd row of your picks from Anthropologie! I'm from LA but living in England at the moment and I miss the award-season buzz! I'm wondering if Leo is finally getting his Oscar too! Oh, and totally looking forward to what Cate Blanchett will be wearing!